The stained glass windows featured on our home page have been a beautiful part of our church for more than twenty years. 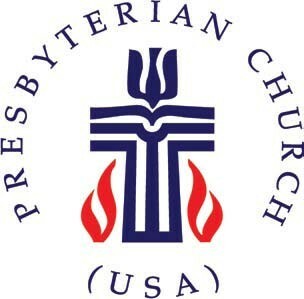 More than sixty artworks were designed and crafted by a dedicated group of church members under the guidance of our own Dee Weinhandl. How did they do it? It took a lot of time, dedication, and quite a few Band Aids! Read on to learn more about the process from one of the artisans. 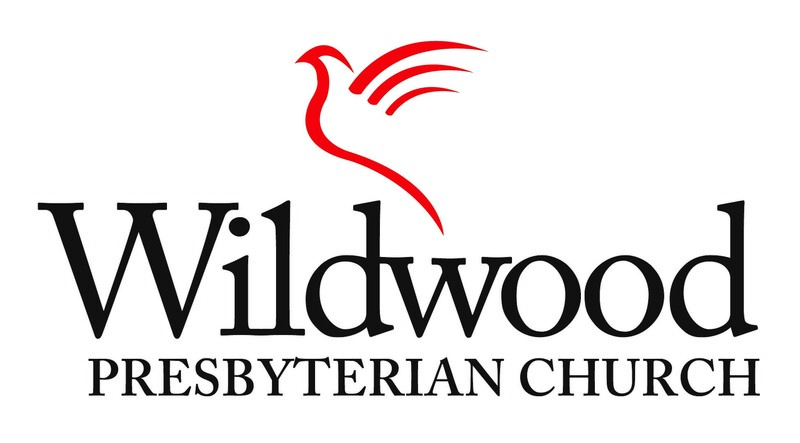 One of the unique aspects of Wildwood Presbyterian Church is the contributions of all of its members. There are so many ways for an individual to become involved in the mission of the church. I am priviledged to be able to participate in the construction of the glass windows that grace our sanctuary. I have heard these windows refered to as small "sermonettes in glass," and I hope that they do truly inspire us at worship. A few years ago I remember a few panels appearing in the sanctuary and thinking that these were really nice. My wife and I decided to donate a panel. When I approached Dee about commissioning such a panel, I did not dream that I would soon be an active participant in "Dee's House of Glass," but she invited me to work on the construction of that window. So how do these panels go from an idea to reality? The first step is a consultation with Dee. A theme for the window must be decided upon. Perhaps the idea comes from the person who is dedicating the window. Maybe an idea comes from scripture or an epiphany from a personal meditation. Dee has several books, magazines and patterns from the stain glass world. Church bulletins or even the internet are consulted to have the final design decided upon. Now the hard part: making the idea a reality! A pattern is produced and then several copies of this are made. The master pattern is tacked onto an assembly board and from this the window will be constructed. Each individual piece that composes the design will be cut out from the copies and traced onto the glass with a felt tip pen. It is like a large jig-saw puzzle - each piece will become a part of the whole. Next the glass must be cut. A glass cutting tool is used to score a line tracing the mark we drew. You then turn the tool around, and using the little ball on the end, you tap along the line which causes the glass to crack following the score line (at least you hope this happens, for otherwise you end up with a piece of scrap and a frown from Dee). With a little luck and some skill you now have a piece of glass that roughly looks like your pattern piece. The piece must now be smoothed and shaped to fit inside the lines of the pattern. To accomplish this we grind the piece on a grinder. This machine has a diamond or carbide drum that smooths the edges and cuts away any excess until the piece conforms. Once all the pieces are cut, they have to be attached to one another. This is accomplished by a foil tape being attached to the edges of the glass. The tape, which can be soldered, covers not only the edges but also overlaps the top & bottom to form a U shape on the edge of the glass. When you place this piece next to its adjoining piece you now have something that can be soldered together. The soldering process is what makes the window. A flux is brushed on the foil and that helps the solder flow between and over the tape forming an H channel that will hold the glass. Once everything is soldered together, a final cleaning takes place and installation in the church comes next. Behold! A work of art to the Glory of God. It takes about 8 weeks from start to finish to make one window! During that time a lot of work is put in, sometimes a little blood (glass is sharp after all), and a lot of laughter. It truly is a blessing to be part of a ministry that lets one "build a church".